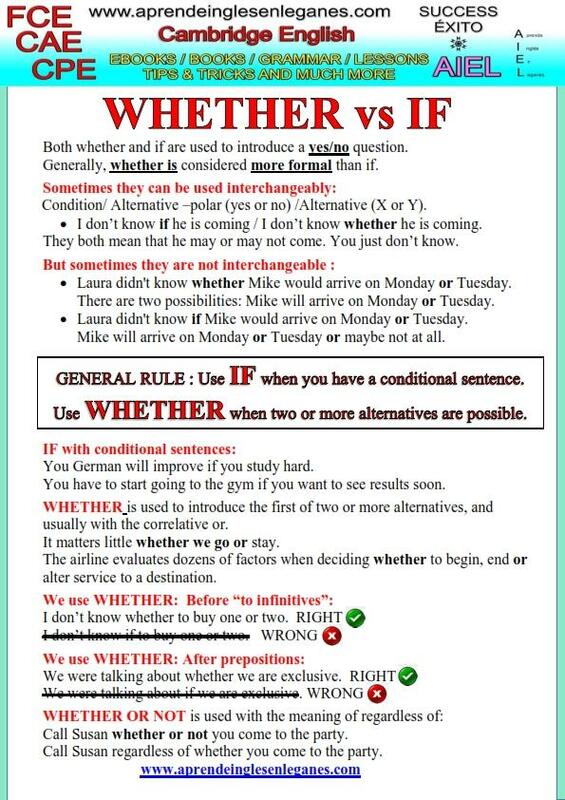 Both WHETHER and IF are used to introduce a yes/no question. Sometimes they can be used interchangeably, but sometimes they are not interchangeable. 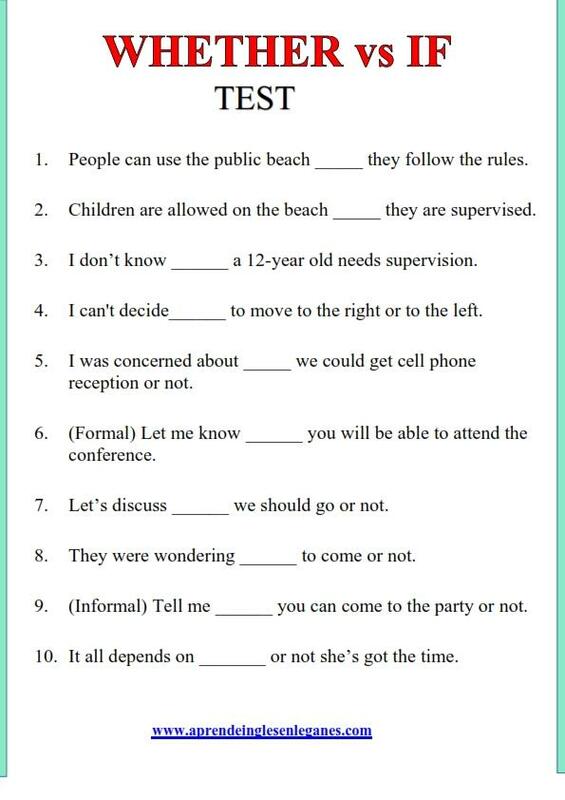 Have a look at the grammar sheet below to learn more about how to use them.